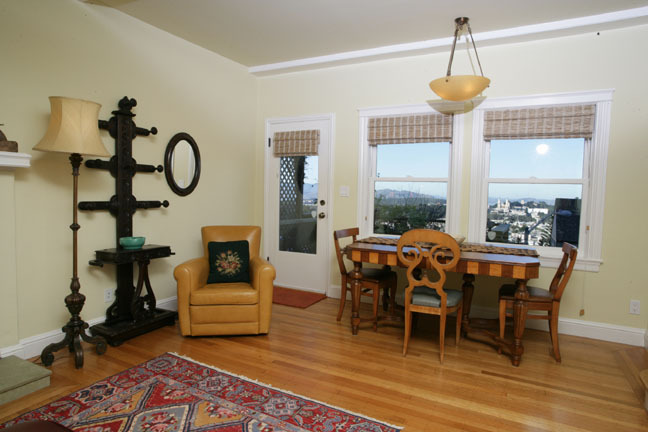 Spacious quarters and a deck that boasts views from the Marin Headlands west to the San Francisco Bay, centering on the Golden Gate Bridge. 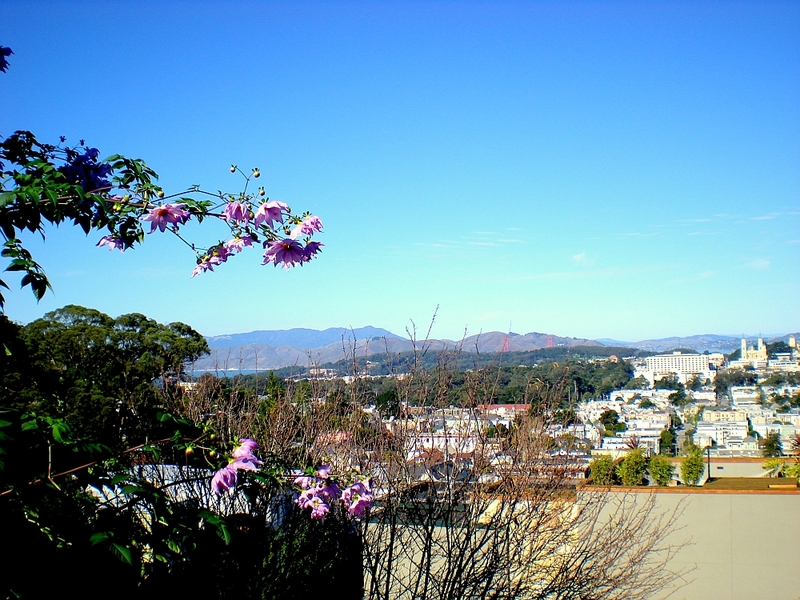 The unit located atop a quiet neighborhood has a fireplace and dining area with the same serene view. The gourmet kitchen is completely updated and fully stocked. 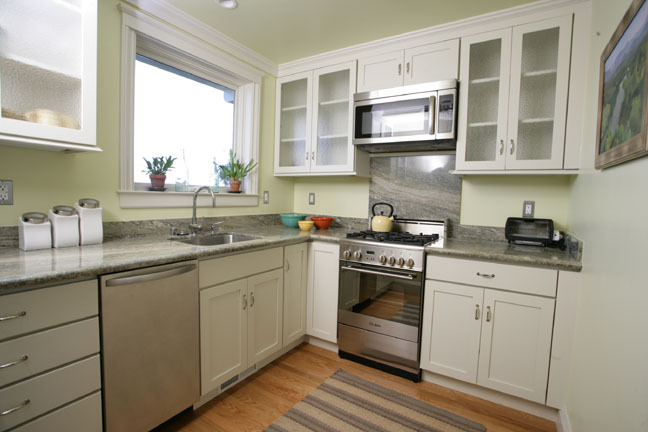 There is a full sized refrigerator and stove as well as a dishwasher. 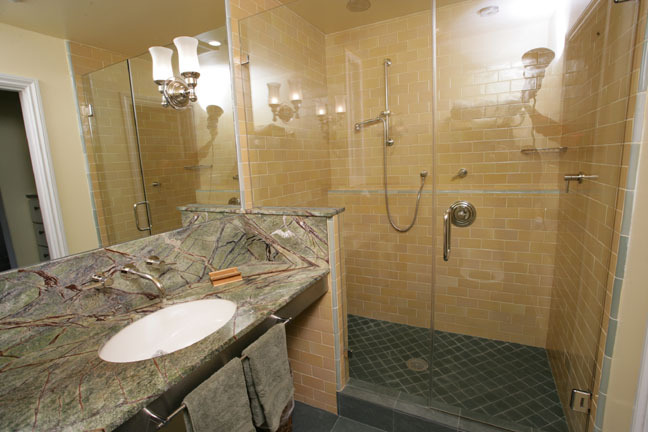 The bathroom is elegant with a large shower and marble counter tops. 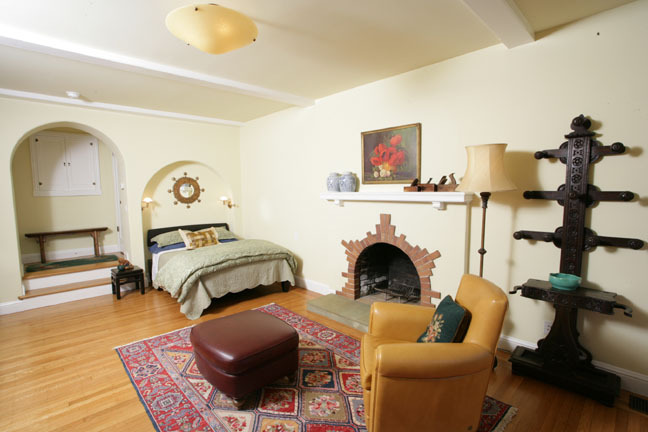 There is generous closet space for the studio and the sleeping area is within an alcove. 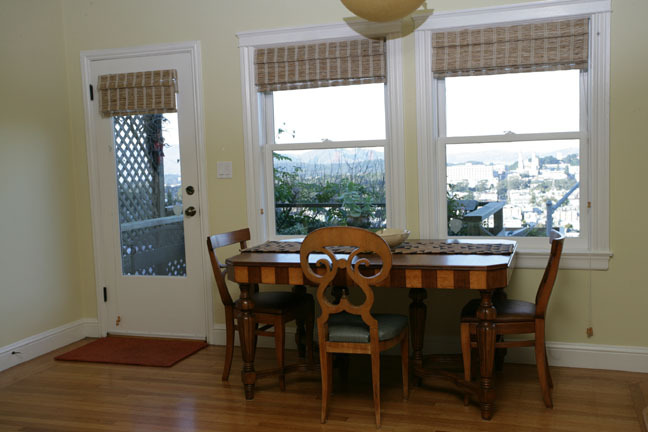 Located between the Twin Peaks and Cole Valley neighborhoods near Belgrave Avenue and Shrader streets.